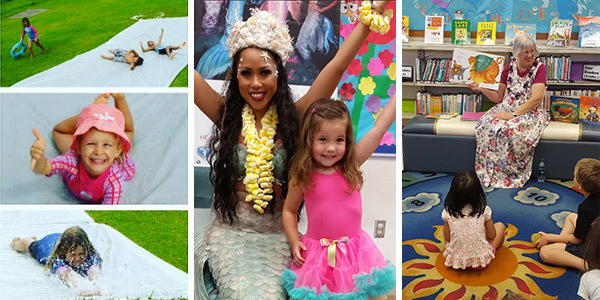 Welcome to the Kailua-Kona Public Library! Designed by architect George Iwasaki, our library opened on a leap day – Feb. 29, 1992. 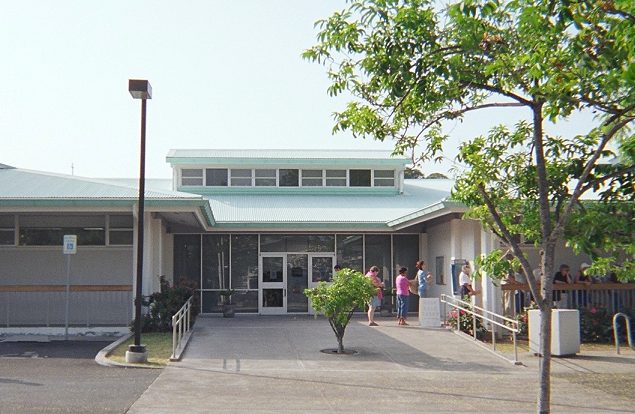 It is the second largest and second busiest library on Hawaii Island. 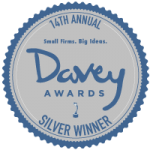 We have a drive-through bookdrop and won an exemplary architectural design award from the Commission on Persons with Disabilities. 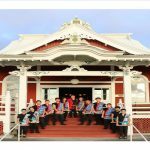 Attend a unique free performance by Kona Daifukuji Taiko group which has performed publicly since November 1989 to perpetuate Japanese culture and the art of Taiko. Akemi Sensei, who was a member of the original Taiko group under the direction of Rev. Ryuji Tamiya Sensei and his wife Noriko Tamiya-san, has been leading the group over the last 15 years. She enjoys sharing her love for Taiko and watching her “Taiko children” blossom into amazing individuals throughout the years. Kona Daifukuji Taiko group performance members practice diligently twice a week throughout the year to be able to move in unison with high spirit and energy during their performances. They will perform “kumi daiko” which means “ensemble” style playing. The group’s youngest members, the “Pikachu group,” will also be performing so come by and rock with us! All ages are welcome to this event and young children must be accompanied by a parent or adult caregiver. Dr. Susan Jarvi, of the UH Hilo Department of Pharmaceutical Sciences, Daniel K. Inouye College of Pharmacy, will give a presentation on the recent findings of the extent of rat lung disease and possible tests for it. Dr. Jarvi’s lab is home to the Hawaii island Rat Lungworm Working Group. 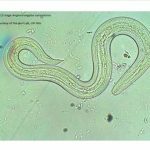 Since 2011, they have been conducting education outreach about rat lungworm disease (angiostrongyliasis) by developing and distributing materials to the general public and level appropriate curricula for public schools. The Jarvi lab is conducting multiple research studies to better understand disease transmission, to develop better diagnostic tests, and ways to reduce the risk of contracting angiostrongyliasis. 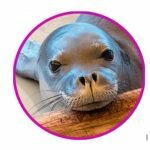 A team from the Marine Mammal Center will explain how the Hawaiian monk seal hospital staff works tirelessly toward the long-term recovery of the Hawaiian monk seal and the health of our oceans. The presenters of this program include: Claire Simeone – Hospital Director, Patrick Kim – Response & Community Engagement Manager, Megan McInnis – Animal Care Manager, and Tara Spiegel – Marine Science Specialist. This free program is supported by the Friends of the Libraries, Kona. 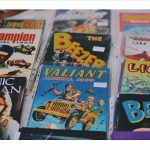 Come to Kailua-Kona Public Library on May 4 to pick up a free comic book! The library will feature Wayne Lo, a talented local artist/illustrator, from 10am-12pm. Wayne will draw Chibi art from 10-11am in the Children’s room for children in grades K-5. He will then be in the Young Adult room for teens in grades 6-12, demonstrating techniques for drawing comic book faces, such as proportions, construction, structure, features, and variations. Would you like to enter a drawing to win a $25. Regal Theater gift card? Just visit the library, on May 4, dressed as your favorite character from a comic book/graphic novel, TV show, movie or book. You can fill out an entry form with any library staff. Two gift cards will be given away for each age group. For more information, please call or visit the library. Wayne Lo loves creating and being a catalyst for creativity. He has birthed new characters and worlds in several series such as C.S. Lewis’ Narnia, Lucasfilm’s Star Wars, Disney’s Pirates, and more. He currently focuses on art in global missions, and lives in Kailua-Kona. Free Comic Book Day programming at Kailua-Kona Public Library is generously sponsored by FOLK (Friends of the Libraries, Kona). 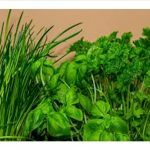 If you are into growing herbs and cooking with them, then this mouth-watering program will surely satisfy. Nancy MacNeal is a Master Gardener and grows a lot of fresh herbs and vegetables in four raised beds at her home at an elevation of 200 feet. Her talk will cover general suggestions for growing herbs successfully, and specific information about a few of her favorites. She will also share some of her special recipes using what she grows. Nancy is a retired physician from Portland, Oregon and enjoys gardening and retirement life in Hawai’i. She is a valued and contributing volunteer member of the Community Seed Library’s Seed Sisters who meet weekly to maintain our seed catalog for the community. The CSL is generously sponsored by the Friends of the Libraries, Kona (FOLK). All programs are subject to change. If you require an auxiliary aid or accommodation due to a disability, please contact the library at least 7 days before the program date. 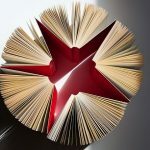 For a list of upcoming library events, visit www. librarieshawaii.org/events. 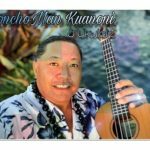 Local ukulele artist and singer, Poncho Man Kuanoni, was born and raised on the hills of Captain Cook and has been performing for a number of years all over Kona. He will perform his original compositions on the ukulele for all to enjoy. 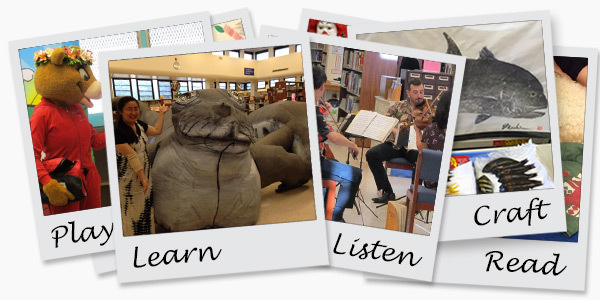 This free performance is generously sponsored by the Friends of the Libraries, Kona. Get Caught Reading: A Celebration of Books! 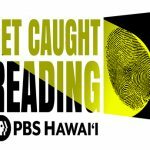 In partnership with PBS Hawai’i and Farmers Insurance Hawai’i, the Kailua-Kona Public Library will present a ‘Get Caught Reading’ event that celebrates reading and the books that we enjoy. Join us for a family-friendly story time from 1:00 PM to 1:30 PM, followed by a variety of interactive crafts and activities. You will also have the opportunity to be interviewed by PBS Hawai’i in order to spread the word about your favorite books or poems. And if you don’t already love reading, we want to help you discover the written words that will make you start. 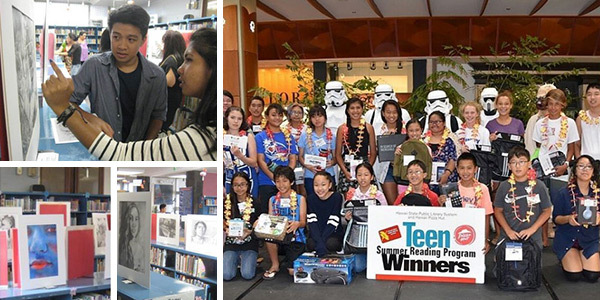 We hope to see you and your ‘ohana celebrating books with us at your local public library!